iBreedIT® is the first expert system made by breeders for breeders, encompassing all of their working needs. iBreedIT® enables breeders to plan, manage and analyze breeding data as well as to perform research quickly and effectively assisting at each and every step of the process, providing optimization tools for all of the activities involved, thereby achieving the desired goals quickly, efficiently and cost-effectively. 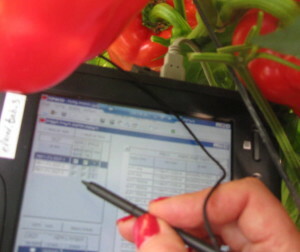 The system facilitates communication between all parties involved, including the groups dealing with phytopathology, molecular biology, agronomy, and field and laboratory trials. iBreedIT® is an Intelligent Decision Support System(IDSS) software solutions for breeders and researchers for generating and disseminating breeding information, custom made to fit the specific needs of breeders and researchers, depending on their crops, and breeding goals. iBreedIT® is provided as a cloud-based software solution (SAAS) so that customers can securely access use the application over the web, without requiring dedicated servers, IT technical staff or configurations. BreedIT Ltd assumes all the responsibilities for the continuous smooth operations including hardware and software upgrades, information backup and secure access. iBreedIT® utilizes Amazon Web Services to ensure its customers have complete information segregation and confidential storage of proprietary data according to the highest and stringent security procedures.